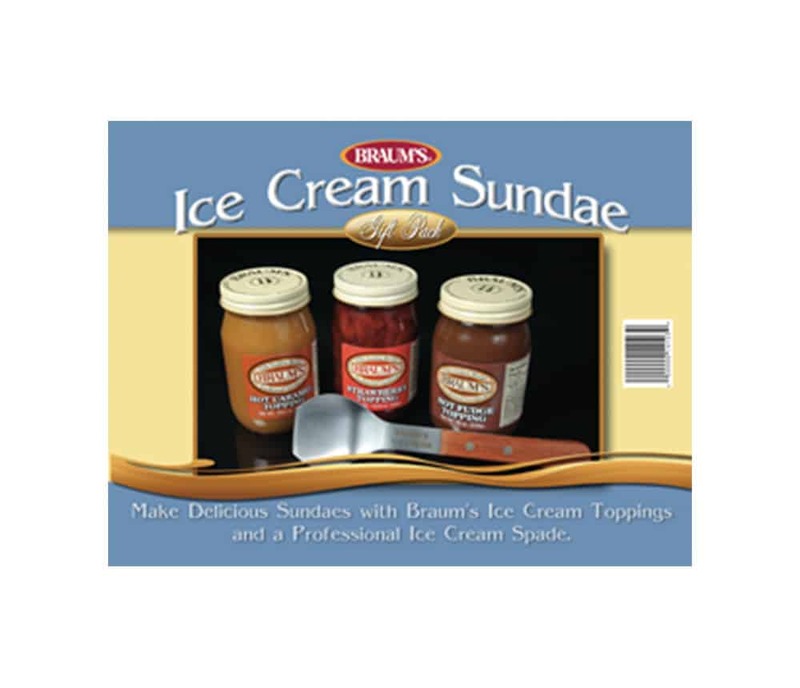 The perfect ice cream gift for the holidays: Braum’s Ice Cream Sundae Gift Pack! It’s the perfect gift for the one on your list with a ‘sweet tooth’. It features three jars of premium ice cream toppings (Caramel, Hot Fudge, and Strawberry) and an Ice Cream Spade! And it comes in an attractive gift box so you won’t need to wrap a thing! It’s literally a Sundae in a box. Just add ice cream.